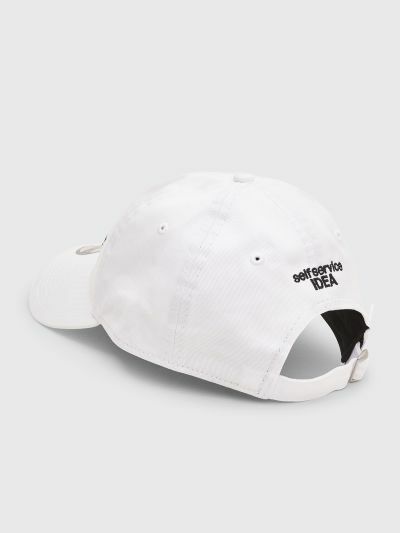 Cap from IDEA made in collaboration with Self Service. Features contrasting logo embroideries on the front and back, tonal top stitching and vent holes throughout and an adjustable strap back with metal buckle. 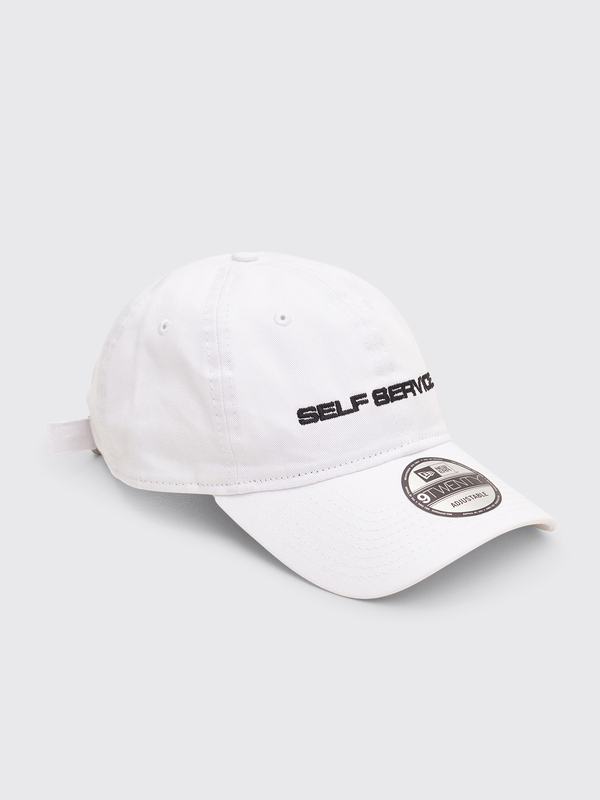 White and black cap. Made from 100% cotton. New Era ‘9twenty’ style made from six panels with pre bent brim and adjustable strap back. One size.